Accidently set a password on a PDF file and forgot it? 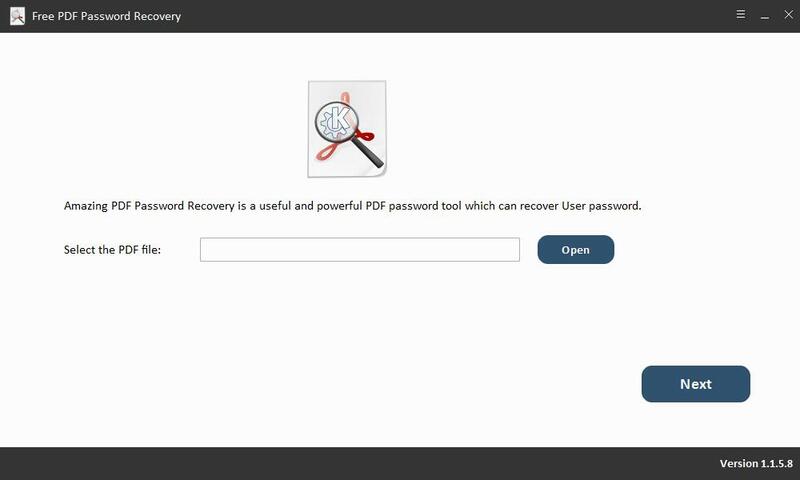 Free PDF Password Recovery software provides you the best solution to recover/crack your PDF User/Open Password. Download, install and run Free PDF Password Recovery software on your computer. Click "Open" button and import your User/Open Password protected PDF file and then click "Next" button. Step3 Select password attack type and click "Start" button. Brute-force Attack: It will try all possible combinations which take more time. Brute-force with Mask Attack: You can customize number, symbols, characters, etc. 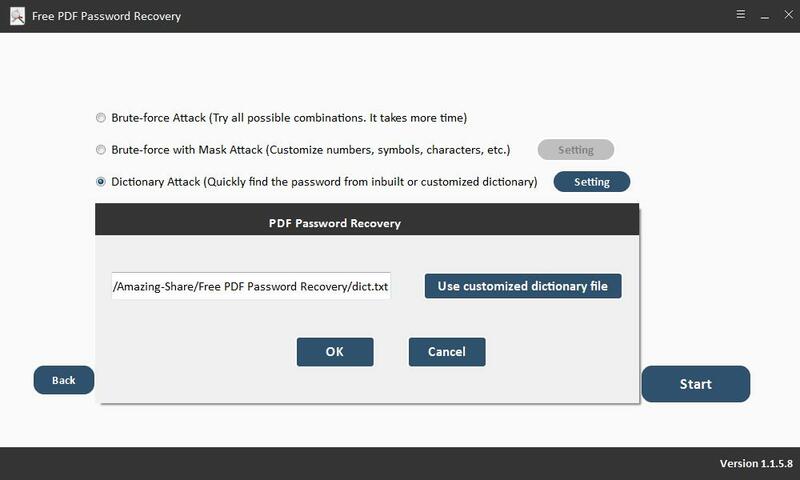 to retrieve your lost/forgotten PDF password. 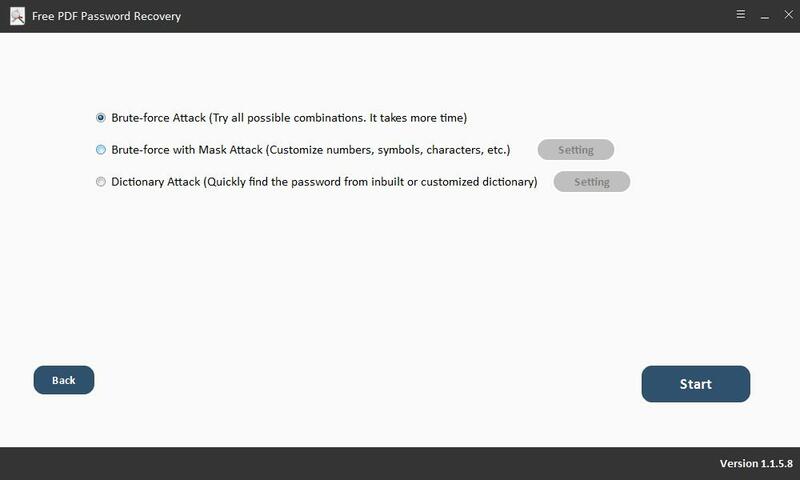 Dictionary Attack: It can quickly find the password from inbuilt or customized dictionary. 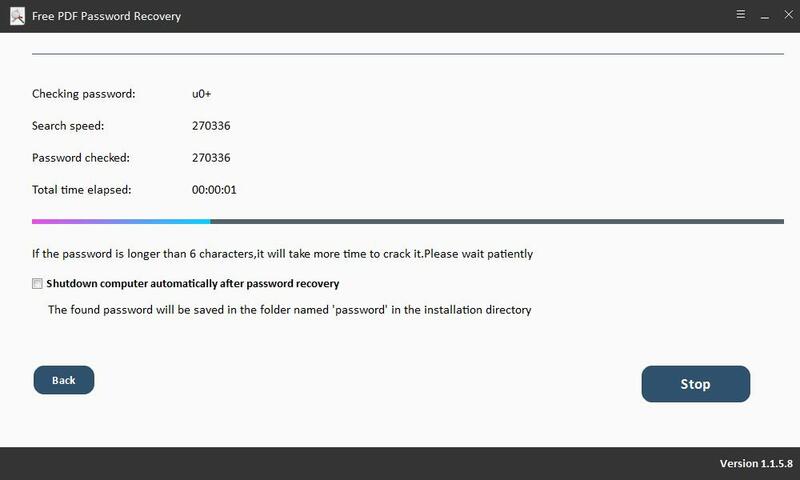 Note: You can shutdown computer automatically after PDF password recovery. 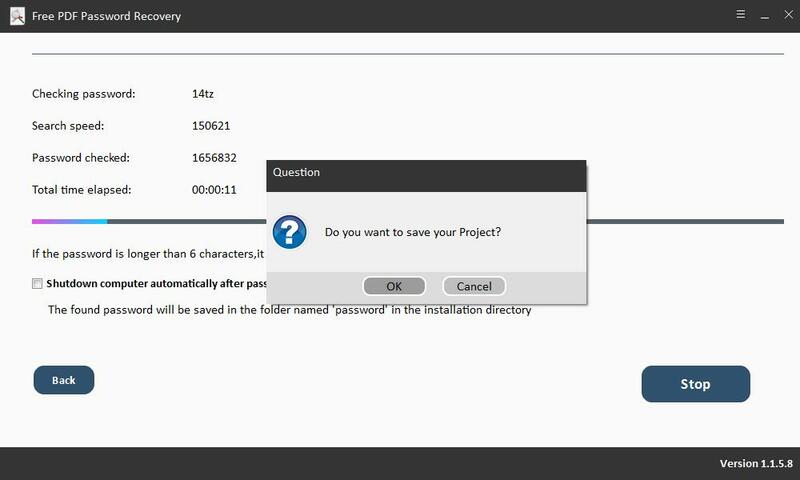 If you want to stop the password recovery, you can save the unfinished project and continue to crack PDF password next time.